I love combining images and messages with heart, or humor to create cards you'll want to send. About Me: I love combining images with thoughtful messages that speak from the heart--and hopefully convey exactly what senders would like to say. 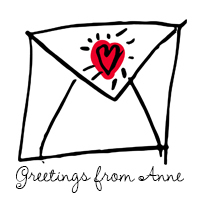 Hi Anne! A couple of your cards caught my eye today and I just wanted to say, your words added to the Big Stock images are a wonderful pairing. Well done! Enjoyed my visit to your store. Keep up the good work!